Rochester, MN 55901 - U.S.A.
Over 30 years of "hands-on" experience in the construction industry. Doug has many years of direct experience in construction materials manufacturing, in environmental inspections and testing, in multi-story commercial building, in home building, and as an inspector. In 1971, Doug began his career in the building industry working for a large construction materials manufacturing corporation in Florida. His responsibilities ranged from being involved in oversight of the day-to-day manufacturing processes, to the inspection and quality control of the actual materials manufactured. Doug moved to Rochester, MN. in 1973, and began working for one of the largest commercial construction companies in the area. 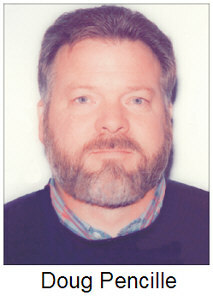 His previous experience with materials quality control and inspection, allowed him to be involved from "the ground up" in the construction of some of the largest commercial buildings and manufacturing facilities in the area (Mayo Clinic, St. Mary's Hospital, Kahler Hotel, Methodist Hospital, IBM Facility, Guggenheim Building (Mayo Clinic), Hilton Building (Mayo Clinic), etc.). In 1976, Doug started his own business as an independent licensed contractor & builder. He has been involved in both the design and construction of several thousand homes and commercial buildings throughout Minnesota, Wisconsin, Iowa, and South Dakota. In addition to providing building services in the private sector, Doug has been involved in the construction of numerous City, State, and Federal government projects. As an extension to his building business, in 1983 Doug began providing services to individuals and corporations as an environmental specialist and building consultant. In addition to this, Doug provides inspection services for residential properties, inspects large multi-story commercial buildings, performs environmental assessments, ADA (Americans with Disabilities Act) building requirement assessments, and acts as the Inspector / Rehab Advisor for for several large lending institutions who provide funds to individuals for the purpose of renovating and / or updating homes. 18 years as a licensed contractor in the State of Minnesota. U.S. Dept. of HUD  Approved 203(k) Rehab Consultant. E.P.A. listed Radon Testing Specialist (E.P.A. ID#: 180650T). Well over 9,000 home and commercial building inspections performed. Certified Professional Inspector by the International Conference of Building Officials (ID#: 1086336). AFL/CIO Building Trades School - received accreditation as a Master Cement Mason/Plasterer (requires 4,000 hours classroom & on-the-job training, over a 4 year period). Approved Rehab Specialist, working with local banks and mortgage companies who offer Purchase & Rehabilitation loans for residential property. Doug assists the borrower by inspecting the property being purchased and/or rehabilitated. He then develops a detailed written work plan and cost estimate of needed repair work, and acts as the lenders inspector during the construction process, ensuring that the work is completed properly and within budget. State of Minnesota approved Instructor, providing training for continuing education credit, to various Real Estate related organizations. Doug also conducts seminars and training in various local High Schools, Technical Schools, and First-Time Home Buyers Classes. Certified Radon Measurement Specialist by the National Radon Safety Board (N.R.S.B. ID#: SS3132). Member of the National Association of Home Inspectors (N.A.H.I.). One of the largest organizations of its type in the U.S., providing and promoting quality standards and guidelines for the industry. Doug is a Certified Professional Member of the International Conference of Building Officials (I.C.B.O. - ID#1086336). The organization that produces, publishes, and distributes the Uniform Building Code. The I.C.B.O. also provides for on-going testing and certification of building officials. Member of the American Association of Radon Scientists and Technologists (A.A.R.S.T. - ID#956IT). Providing on-going training for professionals involved in radiation testing, mitigation, and research. Member of the National Radon Safety Board (N.R.S.B. - ID#: SS3132). This is the organization responsible for the administration and oversight of radon proficiency and certification of radiation professionals. DSP Structural Consultants provides services throughout SE Minnesota, in a radius of approximately three hours driving time from the city of Rochester, MN.